Amsterdam recently had the honor of organising the 2015 European Respiratory Society (ERS) conference. This was a huge international event, with more than 23,000 attendees, many of whom arrived via Schiphol. They received a warm welcome at the airport, thanks to a strong media plan and a sophisticated use of mixed media. Amsterdam is ideally situated for international conferences, trade fairs and other events due to its excellent accessibility. Many potential visitors and other travelers arrived during the conference period, providing a perfect opportunity to show them to the event and raise awareness about the importance of healthy lungs and clean air. 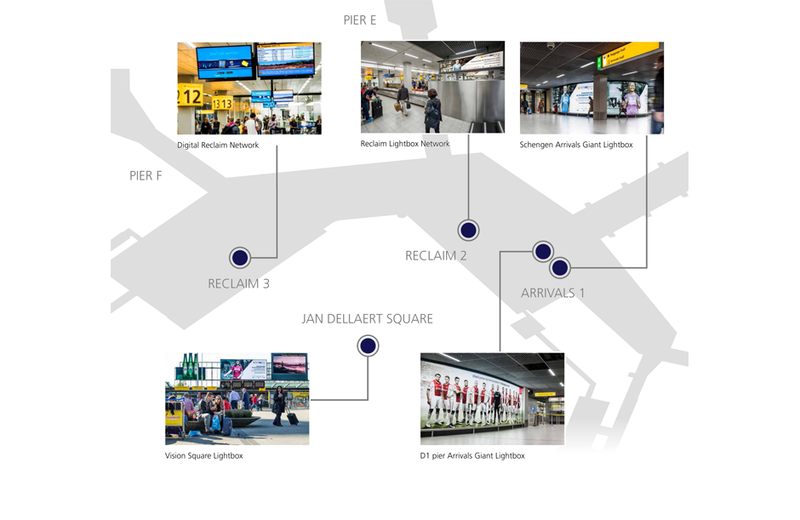 Various media objects were used throughout the airport by ERS and its partner, In Amsterdam. A Giant Lightbox was positioned to attract travelers’ attention after they left their aircraft. The lightbox network then displayed additional information on the digital screens above the baggage belts as they waited for their bags to arrive. On exiting Schiphol Plaza, ERS was unmissable thanks to the Vision Square Lightbox and the Astrovision screen on Jan Dellaert Square. Thanks to the sophisticated media mix, arriving travelers were reached at different moments with different messages. During the campaign period, around 940,000 people walked past the Giant Reclaim Lightboxes and more than 1.5 million travelers had the chance to see the ads in the Baggage Halls. "The media we used and its positioning worked out well. The people I spoke to were all impressed with our ads at the airport. I’m pleased with the outcome of the campaign. 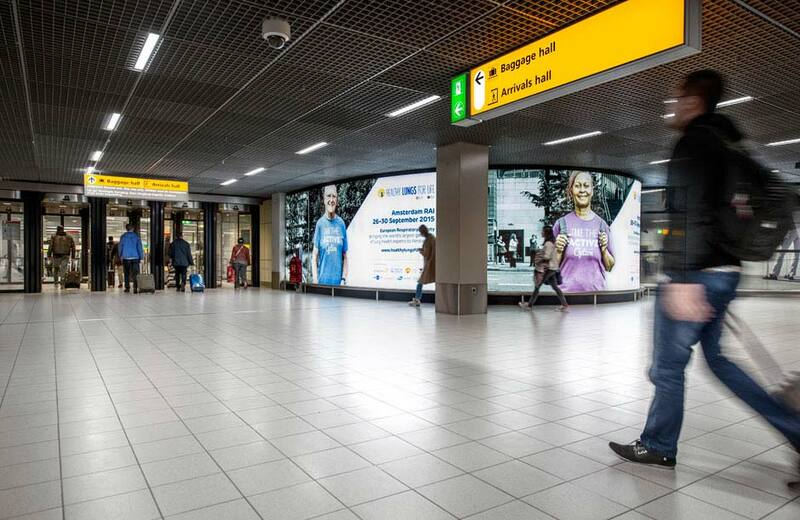 Advertising at Schiphol certainly helped us to achieve our goals." Allows you to reach all non-Schengen arrivals.